This is a post by Evelyn Hines, NFI's Executive Assistant for Training and Technical Support. She and her husband have been married for 26 years and have three kids. 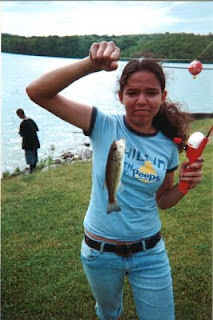 She shares her memories of fishing with her daughter as part of NFI's campaign to "Get Out: Hit the Great Outdoors with Your Kids This Summer." Before I came on board with NFI in 2001, my husband and I had taught our three kids to be expert fishermen and a fisherwoman. As our kids grow older, we know that one day we will have to let them go, like "catch and release" fishing, and let them explore other waters. My oldest son caught a wonderful wife and got married last year. My 15-year-old son, Jacob, is obsessed with the Marines so we expect him to cast his net into the military in a couple of years. My daughter, Jesse (Jacobs twin), proudly exclaims spell my name like Jesse James  no ie at the end. Such a tough teen! She does not wear jewelry or makeup, and her favorite shoes are a pair of grey Converse high tops with blue laces. She still loves to fish with maggots, tie on weights, and can cast with a 20lb test monofilament line as good as the old timers. While she is concerned about reeling in a walleye, dads eyes are downcast because a young man may soon catch her heart. We looked at her intently this Memorial Day on our annual fishing trip. She is such a free spirit. While the noon-day sun burnt us like a toaster gone awry, we noticed the tinge of glow to her skin and highlights that the sun added to her hair that comes to the middle of her back. She is blossoming into a level-headed, beautiful young woman. No one caught a fish on our trip this year. 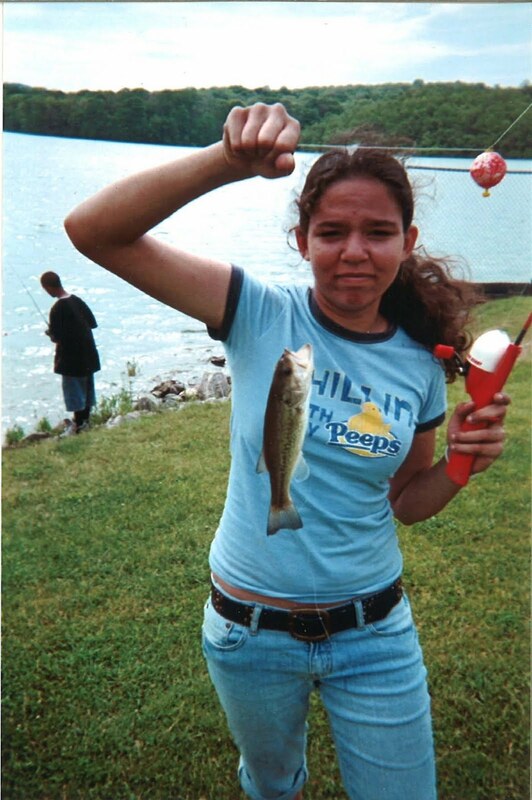 As her mom, I know it was an omen and not just a bad day without a good fish story. Inevitably, a handsome man will catch her heart and take her away from her first love  her daddy. As her father, he may ask for fishing trips together with her and her family, but he will always be "second string." She may one day catch a husband, but the hobby of fishing is something she can pass on from her dad as a legacy to her own children. I hope we catch fish with her on every occasion, especially when her daughter one day turns 15.